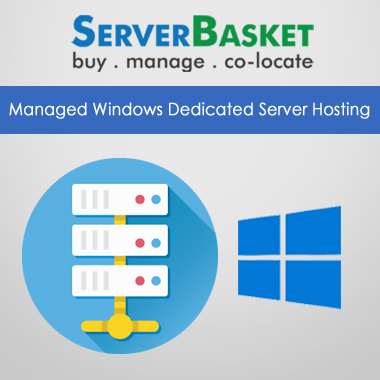 The major benefit of Windows Dedicated Server is reliability- when you opt for a dedicated server you do not have to share resources with other users which can boost your website performance and help to manage traffic better. You get a unique IP address for your website which provides a unique identity to the business and increases its reputation. You get greater security, hassle-free maintenance and option of full customization. Easily control many aspects of your account, encompassing the files, emails hosted on your server or account and applications with the help on the Plesk control panel. We fully support the Plesk control panel, and our technicians are highly experienced in all aspects of Plesk. 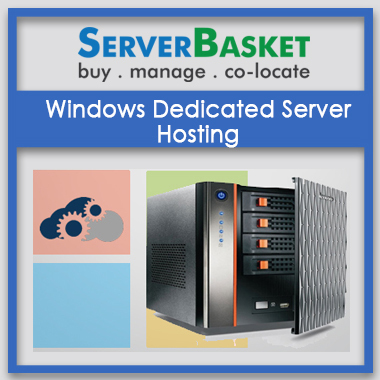 All the Windows Dedicated Server plans available at our website are easily scalable. You can anytime upgrade or downgrade the plan as per the needs of the business growth without any issue. Choose the most suitable plan for your business requirement. You will have the liberty to manage your Windows Dedicated Servers as all the dedicated servers come with complete administrative and root access via RDP. Full root access gives you overall freedom and control to configure your Windows Dedicated Server needs or organizational requirements. We offer you unlimited dedicated resources. 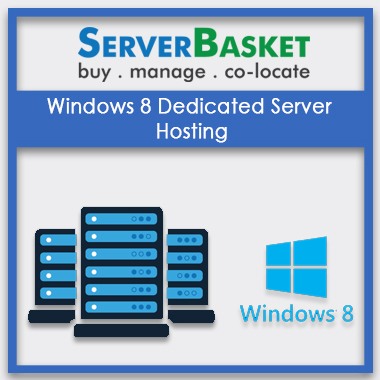 Some of the dedicated resources that are available from Server Basket are unlimited bandwidth, dedicated IP addresses, disk space, memory and dedicated support etc. 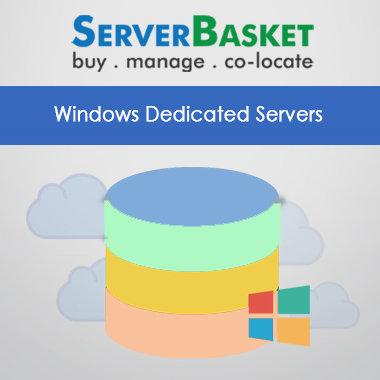 Server Basket offers the best possible price on all the Windows Dedicated Server plans available from us. 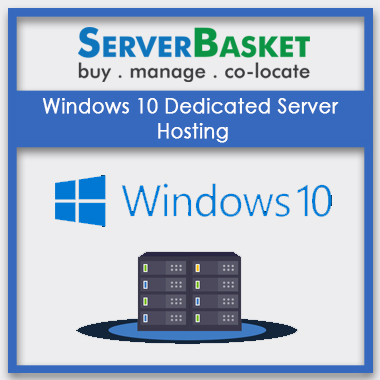 We offer cheap Windows Dedicated Server to the users with a wide range of high workload supported tools like MSSQL Database, Dedicated IPs, and windows migration at no extra cost. 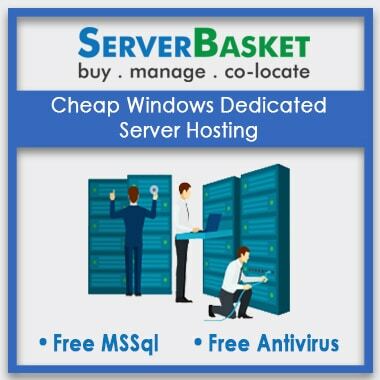 We offer you cheap windows server add-ons. 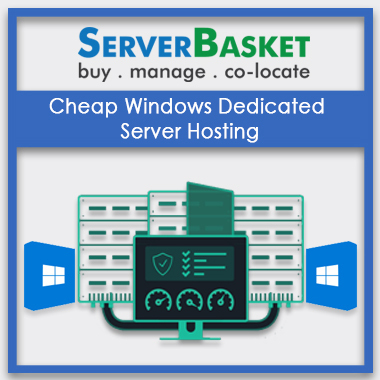 Some of the server add-ons available from Server Basket are RAM, Processor, storage devices, Firewalls, dedicated IPs and much more for a better performance of your Windows Dedicated Server. 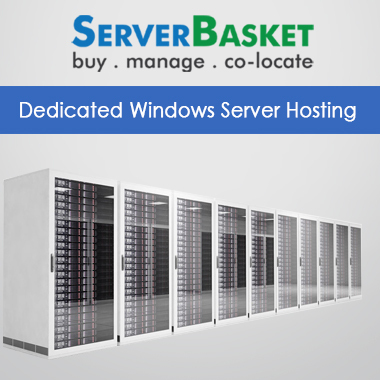 As per your demand, we can extend any infrastructures provided for windows hosting service. 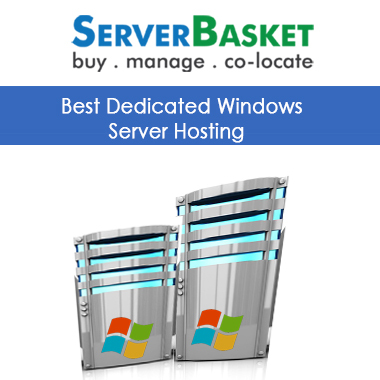 We at Server Basket provide high-end security on the Windows Dedicated Server. Some of the security features that we offer are advanced firewalls, server anti-viruses, 24/7 server monitoring, regular software and system updates, notifications, threat alerts etc. 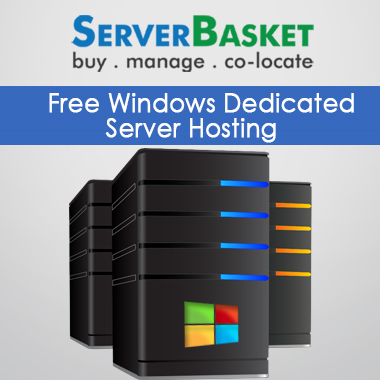 Server Basket provides all kind of technical support related to Windows Dedicated Servers. Our support team will be available 24/7 to answer your queries and resolve your issues. You can reach our support team via live chat, phone call or emails. Some of our support services include server installation, OS installation as per requirement, installing firewalls, anti-virus, and other security provisions, patching and updating time to time, database optimization, control panel related issues etc.